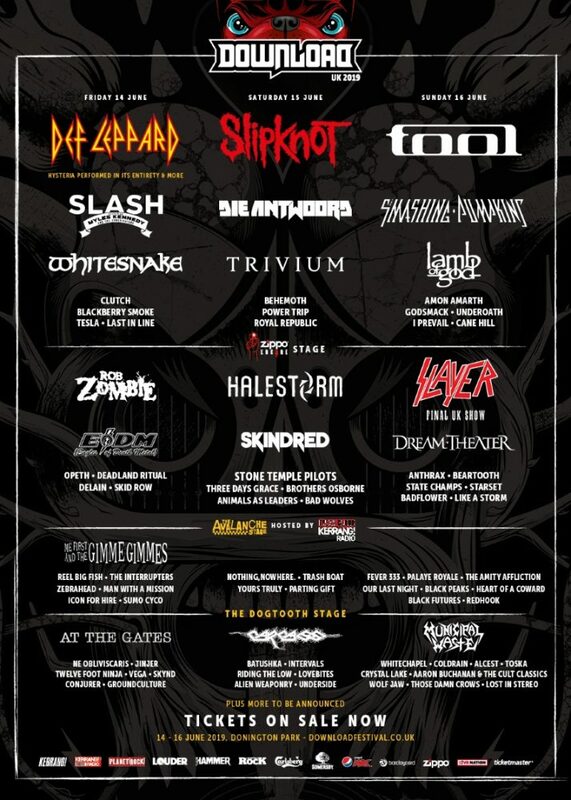 Download Festival 2019 Add 43 More Bands Including Halestorm, Behemoth, At The Gates, Fever 333, Beartooth and Clutch! Well, the Download Festival team have just reduced us all to a bunch of gibbering wrecks with their latest announcement for Download 2019. 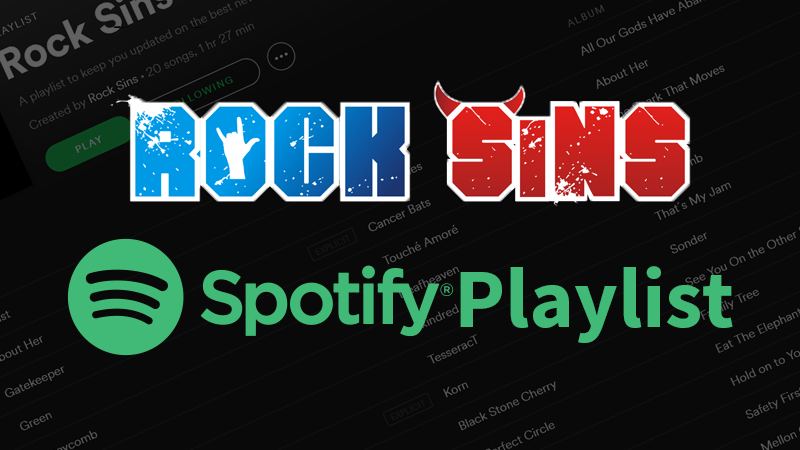 One of the greatest collection of bands ever unveiled in a single Donington announcement boasts heavy hitters in all kinds of sub-genres of rock and metal. Topping the pile (seriously, where do we start this time) are Pennsylvania rockers Halestorm. With Lzzy Hale and co set for their first ever UK arena shows this November, all the freaks no longer have to wait another ten months before their favourite band return as they will headline the Zippo Encore Stage on Download’s Middle Saturday. Set to tear the UK apart together in the coming days, At The Gates and Behemoth will both be at Download 2019. Behemoth bag a main stage slot on Saturday, while At The Gates will headline The Dogtooth Stage on Friday night (we hope Andy Copping has taken out extra insurance as there could be some serious injuries coming out of that one). Indeed, the Dogtooth line up for Friday now also boasts fellow additions Ne Obviliscaris, Jinjer, Twelve Foot Ninja and Conjurer in what could be one of the Dogtooth Stages’ finest days ever. And we’re only just getting started. Want one of the hottest new bands of the last five years? Then we have the return of Fever 333 to the site of their first UK show. Want the band who’ve been tearing it up across arenas with Architects? Then Beartooth are returning to tear it up. Want to dance the good time dance? Clutch are happy to oblige. And if that wasn’t enough, Download have teamed up with Kerrang! Radio to offer one band the chance to open the Avalanche Stage at Download 2019! Bands can enter via the Kerrang! Radio website, and the deadline for that is March 1st. To enter, please head here. 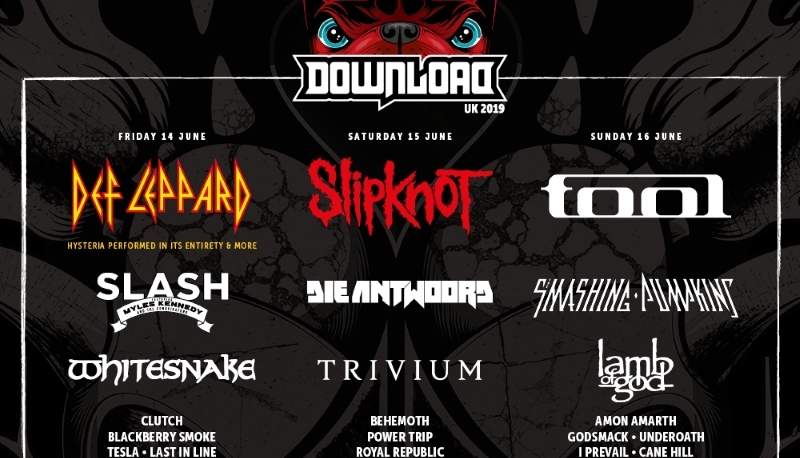 All of the newly added bands join headliners Def Leppard (performing Hysteria in full and more), Slipknot and Tool plus the likes of Slayer in their UK farewell UK performance, Slash and Myles Kennedy, Die Antwoord, Smashing Pumpkins, Trivium, Whitesnake, Dream Theater, Lamb of God, Amon Amarth and many more! If you’ve not yet picked up your tickets for Download 2019, please do so right now at the following link – https://downloadfestival.co.uk/tickets. We’ll have plenty more from the Download team between now and the time the Donington gates open as we build up to what’s looking like one of the best Download Festivals ever!